We are here to help you with your cleaning and restoration services. Our goal is to take care of you and your belongings, so you don't have to worry. When you suffer a property loss, it's natural to feel overwhelmed and confused. Tudor Services is here to help and our goal is to take care of you and your belongings, so you don't have to worry. Our professional crime-scene and bio-hazard cleanup services are available 24/7. Crime scenes such as death, suicides, accidents, or traumatic injuries at your home or business are events that few of people are prepared to deal with. At Tudor Services, that’s not the case. We are prepared. We offer professional cleaning services to assist you after a fire, flood, mold, or crime-scene situation. 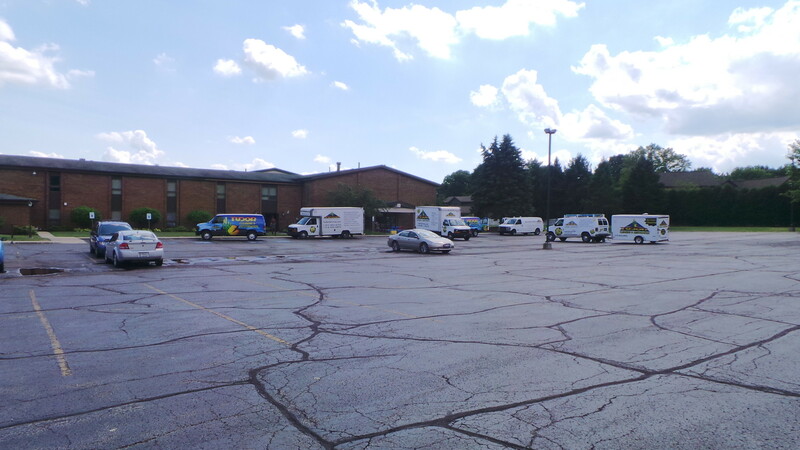 When you have a disaster-related emergency, you’ll want a reliable restoration cleaning company to bring your residential or commercial property back to like-new condition after sustaining any level of damage. Let us help put an end to your mold and mildew situation today. When you think mold might be present, it’s important to act quickly not only because your home or business could be at risk, but so could your health and the health of others around you. Our restoration professionals will help restore your life and home or business when a fire or smoke disaster strikes. When fire and/or smoke hits your home or business, the damage can be overwhelming. You’ll need a team of professionals who have the experience to take care of you and your situation, help restore your belongings, and help put your mind at ease. We provide water damage restoration and related, mold remediation services 24/7. When hit with a water damage emergency or flood disaster, you want an expert water damage recovery team you can count on. For more than two decades Tudor Services has restored residential and commercial properties back to like-new condition. Recently, I was in Doelling Decorating Center to pick up some paint for our new house. When I was in Doellings, I saw Paula Doelling. I graduated High School with Paula. We talked for a moment about Valparaiso and all the happenings as well as business. How Joe Maddon Changed My Life! The Quality of a Person Performing a Service Does Matter! At Tudor Services we aren’t just satisfied with being the best in our field, we are constantly improving! Whether that means making valuable new additions to our fleet of service vehicles or adding to our team a new Operations Manager with over twenty years of experience, Tudor Services will do whatever it takes to be prepared to meet your needs! Call us today! Tudor Service's specialists have gone through rigorous training and instruction on professional cleaning and restoration. Our specialists are certified by the "Institute of Inspection, Cleaning, and Restoration" or the IICRC. Our IICRC Certified Technicians have attended one or more IICRC approved schools, and have successfully completed the certification exam. They maintain their credentials by participating in IICRC approved continuing education programs. Our specialists will conduct business honestly and observe the "IICRC Code of Ethics". Tudor Services has a wide coverage area. Please check to see if we serve your county and call us today to find out how we can help you! © 2016 Tudor Services, Inc. All Rights Reserved.